Winster ME1-2PF 1/4" BSP Female Plug Euro Type 1/4" BSP female thread. Overall length 35mm. Winster ME1-2PM 1/4" BSP Male Plug Euro Type 1/4" BSP male thread. Overall length 40mm. Winster ME1-2SF 1/4" BSP Female Coupling Euro Type 1/4" female thread. Overall length 55mm. Winster ME1-2SM 1/4" BSP Male Coupling Euro Type 1/4" BSP male thread. Overall length 60mm. Winster T1904FC 1/4" BSP Female Coupling (Type 19) 1/4" BSP female thread. Overall length 65mm. 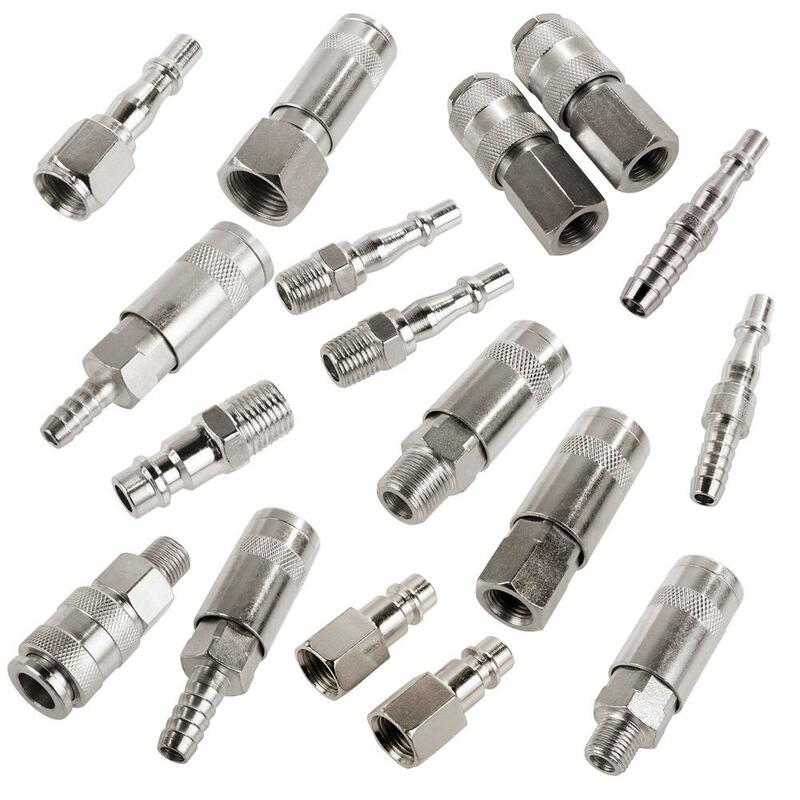 Winster T1904MC 1/4" BSPT Male Coupling (Type 19) 1/4" male thread. Overall length 65mm. Winster T1904MP 1/4" BSPT Male Plug (Type 19) 1/4" BSPT male thread. Overall length 55mm. Winster T1905HTC 5/16" Hose Tail Coupling (Type 19) Overall length 80mm. Winster T1905HTP 5/16" Hose Tail Plug (Type 19) Overall length 70mm. Winster T1906FC 3/8" BSP Female Coupling (Type 19) Overall length 70mm. Winster T1906HTC 3/8" Hose Tail Coupling (Type 19) Overall length 80mm. Winster T1906HTP 3/8" Hose Tail Plug (Type 19) Overall length 65mm. Winster T1906MC 3/8" BSPT Male Coupling (Type 19) 3/8" BSPT male thread. Overall length 70mm. Winster T1908FC 1/2" BSP Female Coupling (Type 19) 1/2" BSP female thread. Overall length 70mm. Winster T1908MC 1/2" BSPT Male Coupling (Type 19) 1/2" BSPT male thread. Overall length 70mm.